The trails through Culver City Park and Baldwin Hills Scenic Overlook are another one of my favorite places to visit after a long work day. 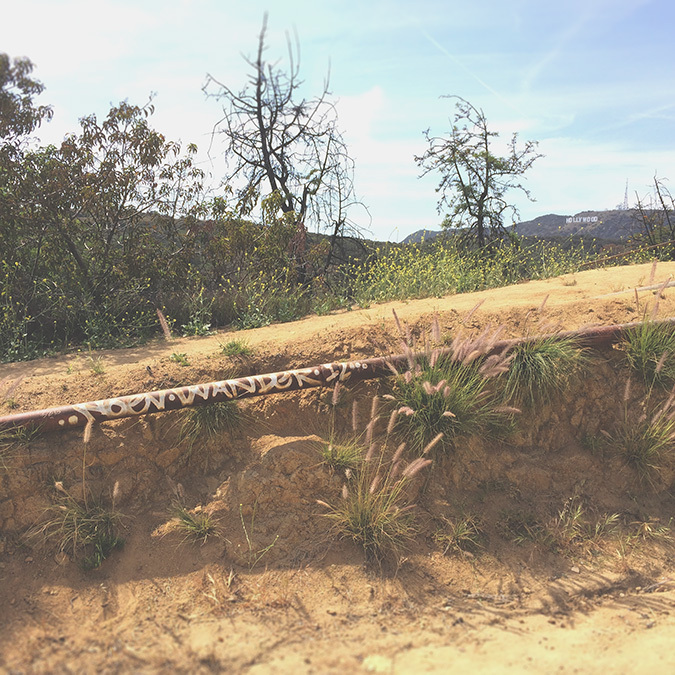 The Culver City Park connects with Baldwin Hills Scenic Overlook through a small trail making it really easy to take advantage of the benefits of both of the parks in one fell swoop. Culver City Park is located at the intersection of Duquense Ave. and Jefferson Ave. in Culver City. It offers a lot of great pic-nic areas, a wonderful little dog park called "The Boneyard", some wall climbing activities, soccer and baseball fields and a lot of lovely views of downtown Culver City. Baldwin Hills Scenic Overlook is also located on Jefferson Ave. just east of the Culver City Park entrance. From the top of the peak you can take in some seriously breathtaking views, hike through a restored native habitat, and check out the visitor center that has an abundance of information on this area that was once oil drilling land. Whether you follow the trails, or fight your way up the infamous stairs, in the end, you'll experience some of the best views of Los Angeles Basin, the Pacific Ocean and all of the surrounding mountains and cityscapes. If you choose to explore just the Baldwin Hills area, there is parking (which can be pretty competitive) along Jefferson close to where the trailhead begins. The trails are in great shape and as you wind your way up you'll eventually come to those stairs that I referred to before. If the stairs are too intimidating you can continue to wind your way up the trail to the top of the peak, or you can trek up the stairs and burn off some serious calories doing so. I'm going to fill you in on my favorite trail route between Culver City Park and Baldwin Hills Scenic Overlook that ends up being about 2.25 miles - I think this path offers the best of both parks - great views and a great workout. To start, enter through the Culver City Park entrance and make your way to the first parking lot - it will be on your left. Once you park, head over to the trail head at the northern edge of the parking lot. This "trail" is more of a wooden walkway that winds you up to the middle section of the park - but it's a nice way to warm up for the rest of your hike. After you make it to the top you'll see some benches that look out over downtown Culver City. After you take moment to enjoy the views, continue through the parking lot heading north again until you see a road that winds up to the highest level of the park. Follow that road, being mindful of traffic, and make your way to the opening in the fence along the baseball field. There is no "defined" trail here, but you can see where the grass has been flattened by fellow travelers. Continue on past the baseball fields on your right and eventually you will see a trail on your left with a park gate that reads "Baldwin Hills Scenic Overlook". The trail here will lead you out to another road - you're bound to see other hikers and runners at this point. There is a crosswalk at the road here that you can follow across the street in order to make your way up past the "Baldwin Hills Scenic Overlook" entrance sign. Here you'll notice a few different trails all sprouting off towards the hill - feel free to follow any to the east, as they all pretty much dump you out in the same area. I tend to be partial to the trail farthest to the left. As you follow along this path you'll begin to get some great view of downtown and finally you will end up at the base of the stairs - like I said before, if you aren't up for an intense trek up these stairs, you can continue to follow the path which will wind you up to the top of the hill, otherwise begin your journey up this infamous stair case. After you reach the top - take a moment to relax - you deserve it at this point! The views from up here are killer. When you've given yourself enough time to take it all in, follow the trail off towards the visitor center. They say the center is open from 9am-4pm, but I've heard it really depends on staff availability, and I've only been up here after 5pm so I've never had the chance to actually go in and check it out. Follow the concrete path past the visitor center until you end back out on a road. From here you will follow the road back down to where you entered Baldwin Hills Park and then make your way back along the connector trail the way you came back towards Culver City Park. You'll find that the trails throughout these two parks are obviously not quite as extensive as say Kenneth Hahn Park, but if you're looking for easy access to a quick urban hiking area, I highly recommend giving these trails a shot.